But she declined to answer personal questions. 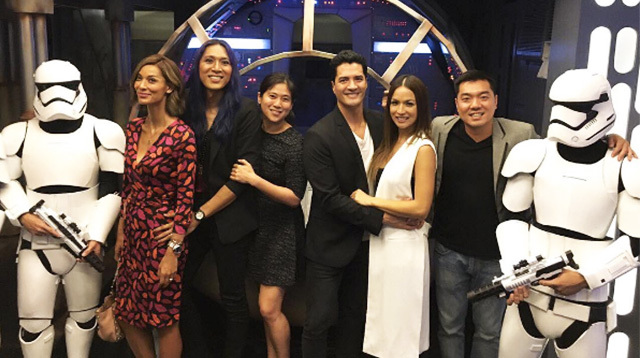 For the first time since she came out as a trans woman, Angelina Mead King faced reporters on Wednesday, July 13, at the press launch of a Star Wars-inspired room at Victoria Court in Pasig City. However, King—the managing director of the Victoria Court group of companies—declined to answer personal questions from reporters. Instead, as CNN Philippines reported, she discussed the latest Victoria Court attraction—a room that's been built to resemble the cockpit of the Millennium Falcon, the iconic spacecraft flown by Star Wars hero Han Solo. King, though, expressed her excitement about what lies ahead for her and wife Joey. The couple was seen enjoying the launch, which was also attended by Victoria Court celebrity ambassadors Aubrey Miles and Troy Montero. Earlier this month, King issued a statement via her @hailtothe_king Instagram page, saying that she wasn't ready to discuss her personal life just yet. She wrote, "For the press people asking for an interview I would like to request to please hold off as I am scared of the pressure that comes along with TV Media. For now wait for @officialtimyap's write up on me. I am feeling pressured since so [many] people are now watching me and my family so I hope we can get some privacy till everything sinks in! Thank you so much!"